Participants in New South Wales’ gross solar feed in tariff program may be in for a very nasty electricity bill shock if they don’t take action soon. The NSW Solar Bonus Scheme pays a premium solar feed in tariff rate to the early adopters of solar in the state; either 60c or 20c per kilowatt hour. The Scheme is based on a gross model; meaning all electricity generated receives the generous amount. The Scheme closed to new participants in 2011 – and the premium rate will cease at the end of this year. This creates a challenging situation for the 146,000 participants; one that could see some reeling from huge increases in their electricity bills from early next year if action is not taken to offset the impact. One of the issues with the transition is most electricity meters installed under the Solar Bonus Scheme were gross meters. As gross meters measure all solar electricity production rather than just surplus; from January 1 this output will be credited at a far lower rate – between just 4.7-8c per kilowatt hour. Participants could find themselves buying that electricity back at normal (and much higher) retail rates. The potential impact could be enormous according to solar provider Energy Matters – up to $2,400 a year. Energy Matters has published a guide for NSW Solar Bonus Scheme participants to help them understand the issues and actions they should consider taking; including changeover to a net or smart meter, solar upgrades and energy storage. The company has also launched a NSW Solar Bonus Scheme calculator that can be used to estimate the potential impact of not taking action – and pick up some tips on minimising it. 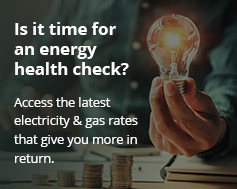 Additionally, Energy Matters has initiated a dedicated mailing list that will provide subscribers with updates on the New South Wales situation and special offers on system upgrades. Energy Matters recommends not leaving action to the last minute. With 146,000 solar households affected it could mean a rush towards the end of the year on meter changeovers and system upgrades – and consequently, delays. New South Wales Solar Bonus Scheme participants wanting personalised advice can contact the company on a special Energy Matters hotline: 1300 NSWFIT (1300 679 348).